Audit Incident-To Like a Superstar. When you hear the words “incident-to” do you experience heart palpitations, shake your head, and sigh deeply? If so, have no fear! Expert auditor, Lori Cox, can show you how to reduce your stress when billing these services. 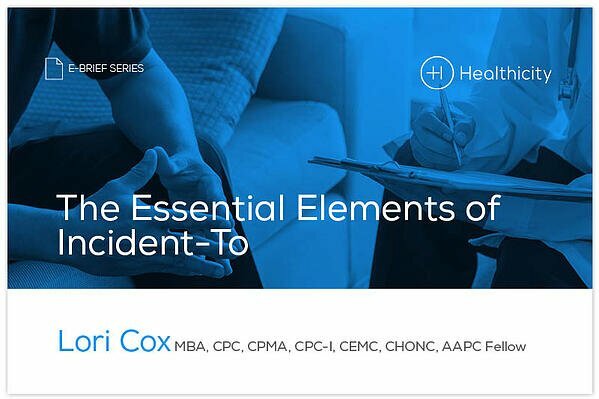 Incident-to services were created so that physicians could free up time and still get paid for managing a patient’s care. Another staff member employed by the same practice, typically a mid-level provider, performs certain tasks as ordered by the physician for the patient. If the guidelines are followed, the service can be billed under the physician. However, serious problems arise when practices start willy-nilly billing charges under physicians instead of billing them directly under the provider rendering the service.